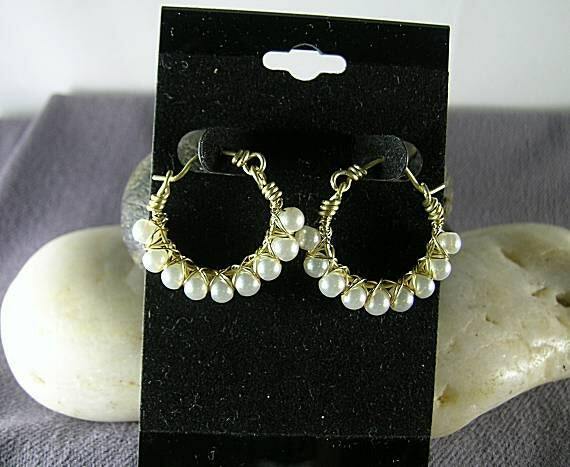 These earrings are made of jewelry wire and 4mm freshwater pearls. 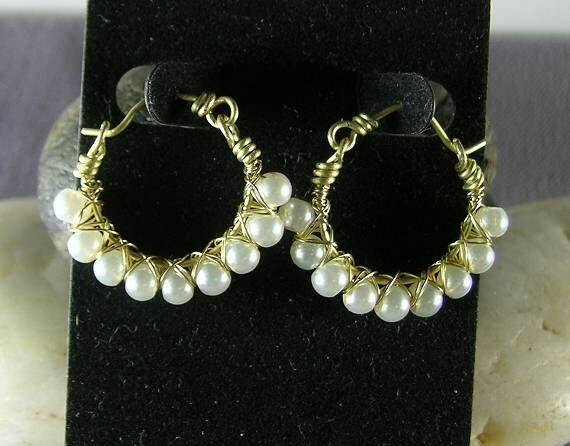 The pearls were double wire-wrapped onto a handmade bronze half hoop. 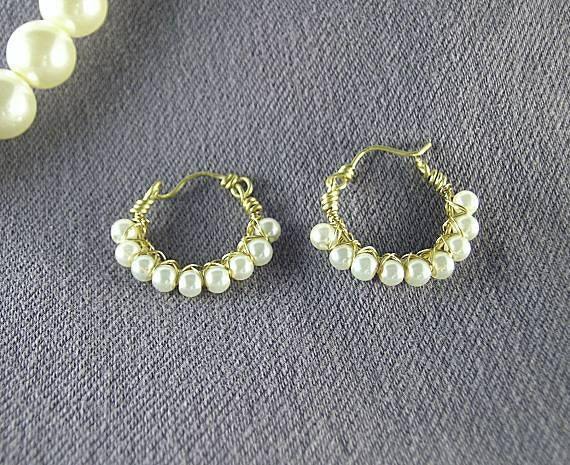 To complete the circle a handmade ear wire has been attached. 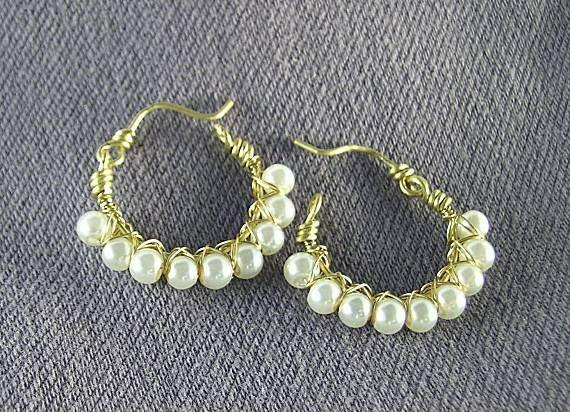 They are approximately the size of a quarter.